At LookInTheAttic & Company, we receive higher email contact during certain parts of the day and days leading up to Holidays. We want to get you the right answer as quickly as possible - and the fastest route to an answer is always sending us an email at CustomerService@lookintheattic.com. Please be sure to include your order number, and always reference product codes for questions so we may promptly and correctly answer your questions. All purchases and transactions with the Yahoo! merchant program and lookintheattic & company occur on a secure server. 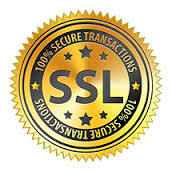 On sensitive pages, we use a Uniform Resource Locator (URL) that uses an https: address. Furthermore, more advanced browsers will also display the security lock icon on the status bar at the bottom right of your screen. Our Yahoo! order system utilizes industry-standard Secure Socket Layer (SSL) technology that encrypts any information that is transferred across the Internet from your computer to our servers and databases. The information that is encrypted includes all of your personal information including your name, address, e-mail address, credit card number and telephone number. If you have any questions about the security or privacy on our website, you can send an e-mail to CustomerService@lookintheattic.com.